If calcification in the pineal region is present in a child of less than 6 years - that child most likely has a neoplasm. Many adults have calcification of the pineal. Careful inspection of suprasellar region required (deposits in both the pineal and suprasellar regions can be seen in this disease). The internal cerebral veins join to form the vein of Galen just behind the pineal. Homogeneous tumors which rarely have cystic components. Most suprasellar germinomas are readily visible on MR, and tend to be of considerable size by the time of presentation. They appear at midline structures, often at or just behind the pituitary infundibulum. These tumors have a slightly different signal from the rest of the brain. 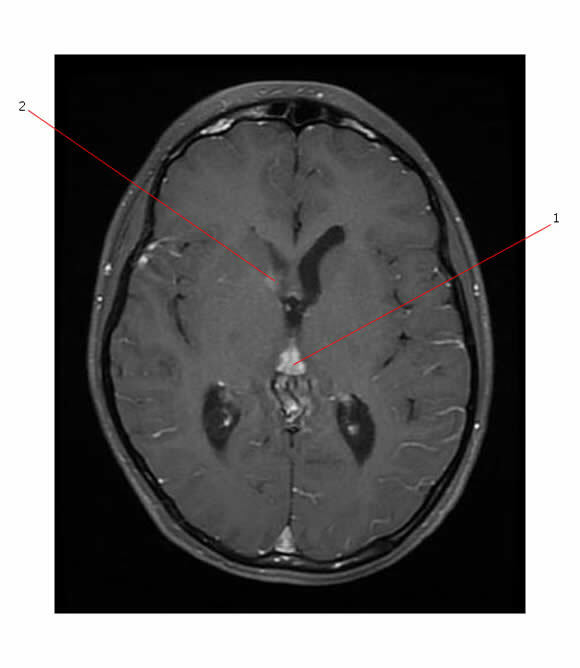 T1 images appear mildly hypointense, whereas T2 images are isointense to gray matter. Marked contrast enhancement is the rule for germinomas. Below is a MR of a germinoma arising in the pineal region (#1). 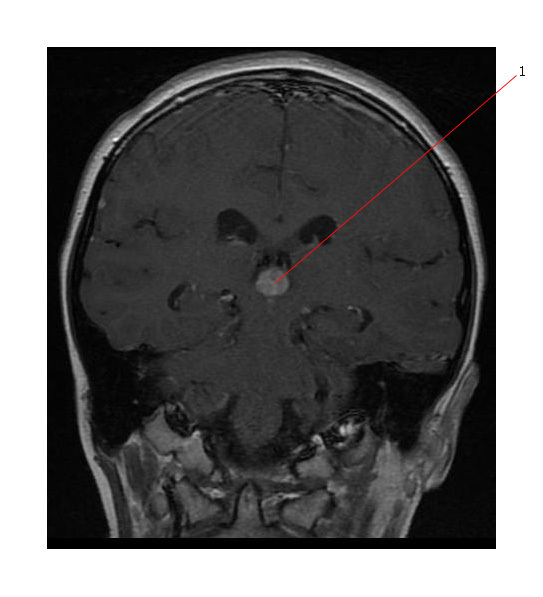 #2 points to an area of intraventricular seeding. 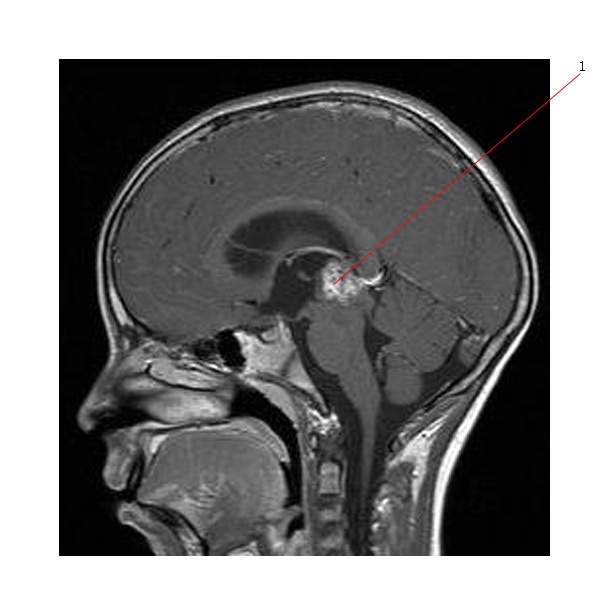 Coronal views of pineal tumor (#1). Teratomas have a mixed heterogeneous signal. Most have evidence of fat or calcification. These tumors have variable enhancement. 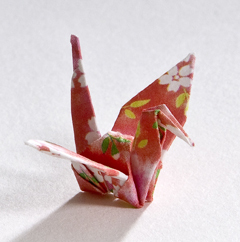 Their appearance can be mimicked by other heterogeneous tumors, such as rhabdoid tumors. 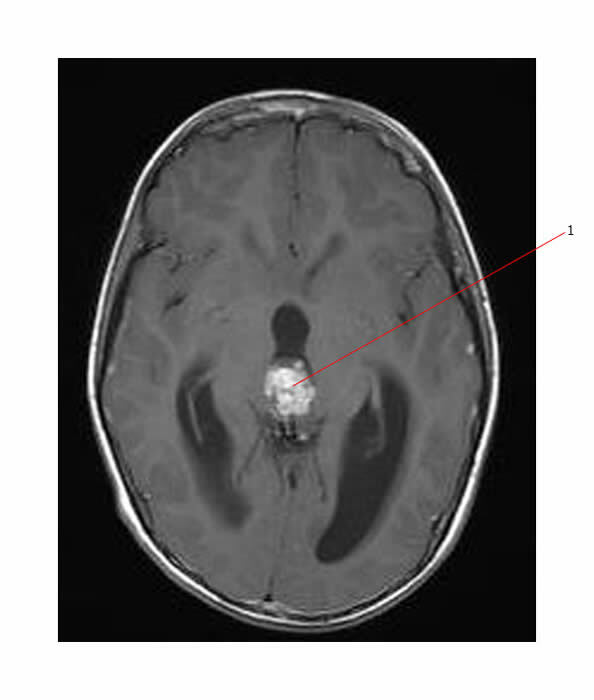 Below is an axial (post gad) MR of a pineal non-germinomatous germ cell tumor (#1). Rarely possible to differentiate between pineocytomas and pineoblastomas with MR imaging. The most important distinction that can be made with this method is between pineal neoplasms and pineal cysts. On T2-weighted spin echo images, pineoblastoma appears isointense to gray matter. This is a typical pattern shared by other primitive tumors as well. Pineocytomas appear with an increased amount of cytoplasm as well as an increased signal intensity on T2 weighted images. Calcification may be present in both pineoblastoma and pineocytoma, but is more common in pineocytoma. 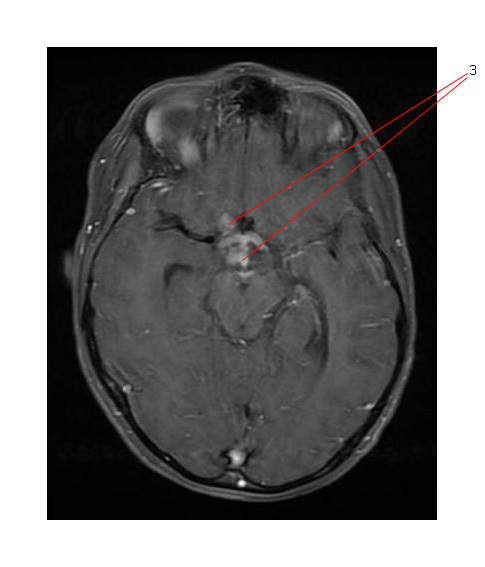 On MR, pineal neoplasms appear as solid, lobulated tumors. They enhance densely with contrast. However, cystic lesions should be considered as pineal cysts.